Archives - Redemption: The Life & Death of Rocky Marciano: volume one. (above) One of my favorite images of Marciano, racing a horse in 1953 whilst training at the now sadly derelict Grossinger's resort, New York. 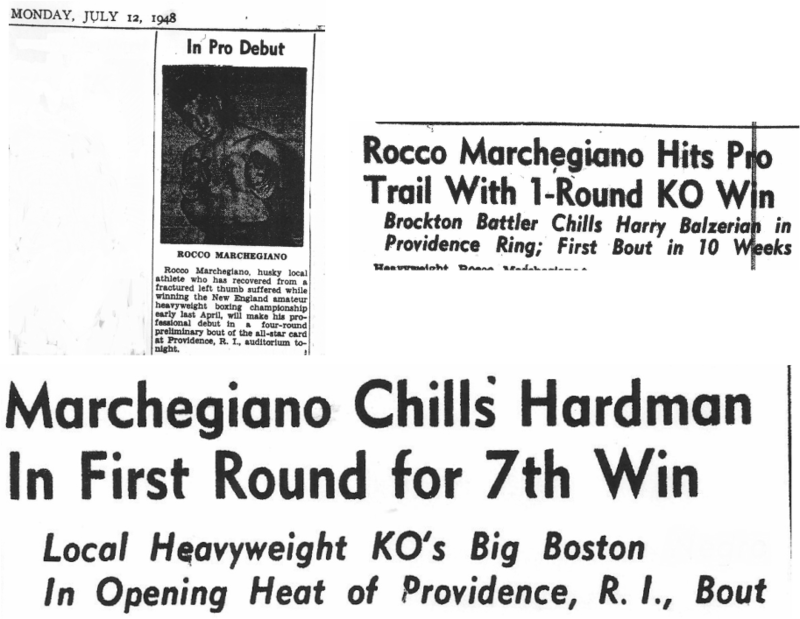 (left) Rare vinyl disc released shortly after Marciano's death that tells Rocky's story through a compilation of interviews given by the former champion..
(right) Then Marchegiano in action from January 1947, The Mechanics Building, Boston, v. Bob Girard. Rocco lost on a points decision over three torrid rounds. (right) Marchegiano v Wallace, March 1st, 1948 - From The Lowell Sun. (left) Despite the legend beneath this picture the late Harry Bilazarian was not the first professional opponent of Rocky Marciano, that distinction belongs to Les Epperson however he was the first who faced a fighter intent on carving out a career in the ring and for that (and so much more) he deserves to be remembered. 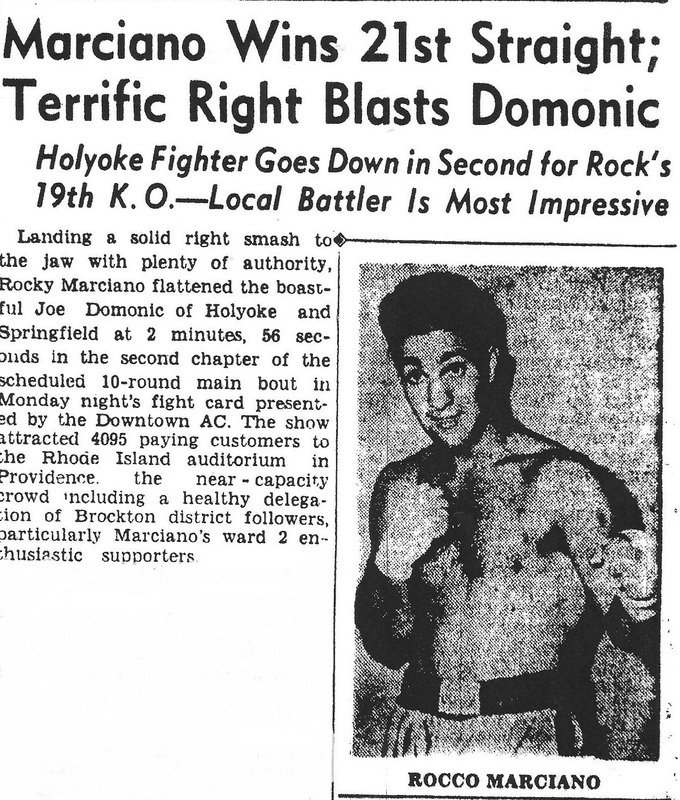 (below) Material from The Brockton Daily Enterprise (now The Brockton Enterprise and Times) between 1948 and 1949 following Marciano's early rise. (right) Marciano seems to be in complete control here as he faces the resilient Canadian Don Mogard on the night of May 23rd, 1949. yet Mogard rallied to become the first professional to last the distance against the marauding Brocton fighter. (left) A bulkier Marciano dispatches Pat Richards in two rounds on his Madison Square Garden début on the 2nd of December, 1949. (right) Marciano sparring whilst watched intently by his remarkable trainer Charley Goldman. (left) William Sloane House, it was here Marciano decided to stay whilst in New York. 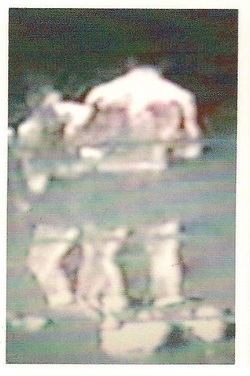 (left) In the Spring/Summer of 2010 Peter Marciano, Rocky's youngest brother, helped amend a very rough and early draft of the first volume of the biography. His notes and initial support proved invaluable - however in May of 2011 Peter distanced himself from the project when evidence presented to him showed that the biography was not following a path he felt comfortable with supporting...Despite this he has wished the author every success for which he is thanked sincerely. The above images remain the property of the original copyright owners and are shared here on that understanding.